Mary Somerville Parker Strangman, doctor and suffragist, was born 16 March 1872 at Carriganore, Killotteran, Co. Waterford, sixth of seven children of Thomas Handcock Strangman, gentleman, of Carriganore, and Sarah White Strangman (née Hawkes), formerly of Castle White, Cork. Mary was educated at home with her four brothers and two sisters. In 1891 she and her sister Lucia (1870–1958) entered the RCSI, the first medical school in the UK to admit women on equal terms with men. After her qualifying (1896) Mary spent some years in England, first as a clinical assistant at the Northumberland county asylum, and later as assistant anaesthetist and assistant physician-accoucheuse at a private hospital for women in London, where she also lectured in midwifery to student nurses. In 1902 she obtained the fellowship of RCSI, the second Irishwoman to achieve this distinction (the first was Emily Winifred Dickson in 1893). In 1903 Mary Strangman set up practice in Waterford and worked in a voluntary capacity with local female charities. She also engaged in trial work in the treatment of alcoholism and morphine addiction, and published articles on the subject: ‘Morphinomania treated successfully with atropine and strychnine’ (BMJ). By kind permission of the National Library of Ireland. Like most of the early Irish women doctors, Mary Strangman was a member of the Irish Women’s Suffrage and Local Government Association. Having proved themselves the equals of their male counterparts, medical women were acutely aware of the injustice of their unenfranchised status; in addition, their work experience convinced them that women’s suffrage was an essential tool of social reform. In 1910 Mary was attached briefly to the Irish Women’s Franchise League. She established a branch of its more moderate offshoot, the Munster Women’s Franchise League, in Waterford, and was on the executive committee of the Irishwomen’s Suffrage Federation (1911–17). In 1908 she was a co-founder of the Waterford branch of the Women’s National Health Association of Ireland. Established with government support the previous year, the association’s aim was to mobilise the women of Ireland in a nationwide health-promotion campaign. Tuberculosis, the country’s principal killer disease, was the main target. In Waterford, the WNHA’s limitations were soon evident: women’s voluntary efforts could not compensate for the negligence of Waterford corporation, which, in common with most sanitary authorities in Ireland, shirked its responsibility for public health. Late in 1911, when women became eligible for election to county borough councils, the Waterford WNHA adopted a new strategy. Mary Strangman stood for election, becoming Waterford’s first woman councillor (15 January 1912). At a time when the national question was the primary concern of most local representatives, she highlighted public-health issues, especially housing and tuberculosis. Her position was complicated by her connections with the suffrage movement, and by her resulting hostility towards John Redmond, MP for Waterford, leader of the Irish parliamentary party, and an anti-suffragist. Faced with the welfare problems resulting from the 1914–18 war, she played a leading role in uniting local voluntary organisations. She retired from public office in 1920. In 1923 she was appointed physician at Waterford County and City Infirmary, and also continued in general practice until shortly before her death at her sister’s house in Dún Laoghaire on 30 January 1943. 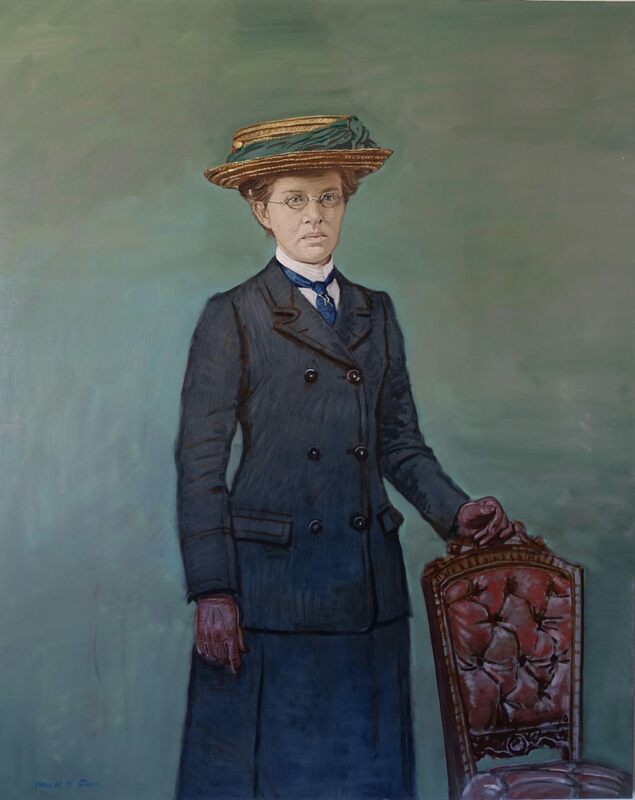 In a career that combined service with independence, Mary Strangman put into practice a philosophy of constitutional feminism that emphasised both the rights and the duties of citizenship.